181 – Welcome to Earth! 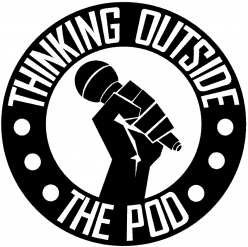 In this week's episode, the Totpod crew go intergalactic. Jimmy, Jason, and Jessica discuss humanity - the highs, the lows, and everything in between. Other topics include - Music, Thor: Ragnarok, Sexual Misconduct, Disney, Star Wars, Star Trek, Gender, Suicide Squad, Movie Theater Etiquette, Marvel, Lord of the Rings, and so much more. Enjoy! In this week's episode; Jimmy, Jason, and Jessica discuss nostalgia and the future. They postulate what would be the things in their lives that the would reminisce about 40 years from now. They also give some NaNoWriMo (National Novel Writing Month) updates. Lastly, they discuss the newest Marvel movie, Thor Ragnarok, spoiler free. Other topics Include: Jessica's hatred for robots, Jimmy's political plan, Jason uncovers some fake news, and so much more. Enjoy! In this week's episode, Jimmy, Jason, and Jessica predict the newest internet sensation, being #Stranded. They discuss if they could mentally take being stranded somewhere and what they would bring to entertain themselves if they were. They also talk about Jason's newest hobby, bread making, and critique the outcome of his most recent attempt. Lastly, they discuss participating in this year's National Novel Writing Month, or NaNoWriMo, which starts on November 1st. Other topics include: Jimmy's possible-crazy classmates, Jessica's murderous secret, and we find out why it's best to keep ketchup away from Jason. Enjoy! In this week's episode, the Totpod crew discuss whether or not Art is dead. This theme weaves us though all the types of media including Movies, Television, Music, and Books to discuss our ideas and insights into the state of Art these days. In this week’s episode, we talk about gritty television reboots. We discuss some of the upcoming shows that have been announced, some current shows, possible ways to grit-ify some of our favorite childhood shows, and past TV series who appeared wholesome but possibly had some dark and gritty undertones. We also discuss a possible link between societal strife and the TV shows we watched growing up and how media may or not be good for us. Hiya Listener!... What a nice podcast... Do you want to listen? You look like a nice audience... Do you want a balloon too? Well sorry, no balloons here, just some talking about stuff. This week's stuff includes the newest Stephen King movie, IT; Fear, Television, Voice Acting, Writing, and so much more. Enjoy! Apologies... This episode gets real heavy, real quick. But, you know, dark times bring about dark discussions. This episode Jimmy, Jason, and Jessica discuss Old age, Death, Terrorism, and Disability. Other topics include Dogs vs Cats, The Merits of Scary Movies, Television, Nightmares, Murder, Writing, and so much more. Jimmy, Jason, and Jessica get together and discuss TV revivals. They talk about shows that have been revived successful or not, shows that should never be revived, and shows that you want revived. Shows discussed Futurama, Scrubs, Twin Peaks, Bob's Burgers, The Defenders, Tom and Jerry, Heroes, Don't Trust the B---- in Apartment 23, Breaking Bad, and many more. We also go over some movie news some local news including a man-made gas shortage and a new law allowing us to carry swords around town. Enjoy! It had been written that when the moon blocks out the sun something will be brought forth into the world that has the power to change life as we know it and it's power will be supreme. Well, we're here to say that the prophecy has finally been fulfilled. The ancients probably didn't think that it would be a podcast, but it's true. In this week's episode; Jimmy, Jason, and Jessica gather during the eclipse and discuss the most important topics such as society, discrimination, media, and superpowers. Enjoy.